It's a great base, but it hardly works on iPhone X series. I wish it told road conditions and other layer info for Marion IA. I use this for Iowa winter driving. Recently the winter driving does not show up at all. One hour commute to work on county highways and now it only works half the time. Last season I never had a problem. Hope they get it fixed. The app itself isn’t bad, but when logged in and trying to edit favorites, it says update failed. I can’t store my favorite destinations or get the custom trip report as advertised. Deleted and re downloaded and still have issues. Cameras never seem to work when you actually need them. I love this app in winter and also in summer. Works best at home with WiFi to see cam pics. Like the other reviewer said, it’s hard to find winter driving. This is the main reason to use the app. Also the pop ups confirming if I’m a driver or not are annoying. Take a note from Waze and use the accelerometer to determine if I’m actually moving or not. This app is worthless. Used to work great and was very helpful for road reports. Now even re downloading won’t give me the information. We have a winter storm. My wife needs information on the roads. This app decides that road conditions are no longer a part of what it does. Garbage, pure garbage. Did an upgrade yesterday. Blizzard today.. No road conditions layer is available? I got this app for winter driving information. Ever since the last update that is the information I cannot get on the app. 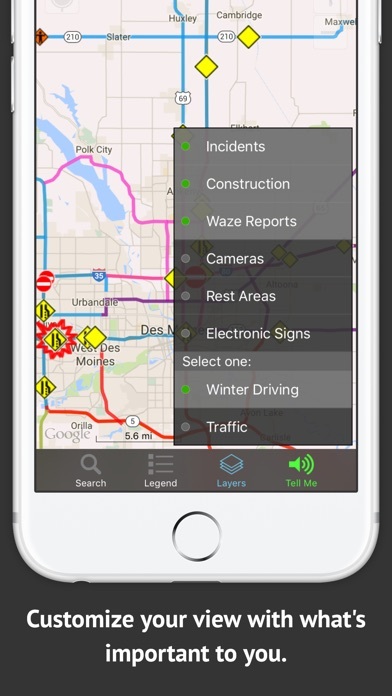 Some of the time the option is available in layers but if you click on any other option (like plow information) it disappears and you have to completely reload the app to get it back. The app is useless if you can’t get the information you need when you need it most. I love this app for road conditions and traffic but what happened to the driver test prep questions??? I used that with my other child but don't see it anymore and need that with my other child , please ad that back !! This app used to be a very useful app for winter driving in Iowa, but it inconsistently shows winter driving conditions! It was snowing and icy in most of the state yesterday. First time I opened app and hit " winter" conditions it worked, the next time I opened it no "winter" road condition options! Yet the web based version shows snow and ice covered roads. Please fix it! 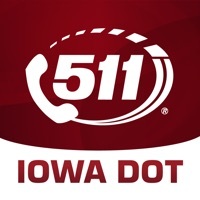 I've used the 511 app for a long time. This season (2015/2016 winter) I haven't been able to get road conditions to load even once. Please fix this app. It was once incredibly helpful, and now it's just a waste of space. Very frustrating! This app rarely loads the winter weather Road conditions and that is the time I need to have them available the most! Please, please fix this or I will not use it and I will find other ways to get my needed information. I can not get the weather layer to open for me. It's not even available in the list selection yet when I go to the website I see there are winter driving conditions. I'm in an iPhone 6. I use it to check winter road conditions. Simple straight forward with no bugs. An Apple Watch app would be great. Major improvements. Still not much data in town but it's accurate on highways for winter travel. Nicely done. I have iPhone 5s and this app is working perfectly. 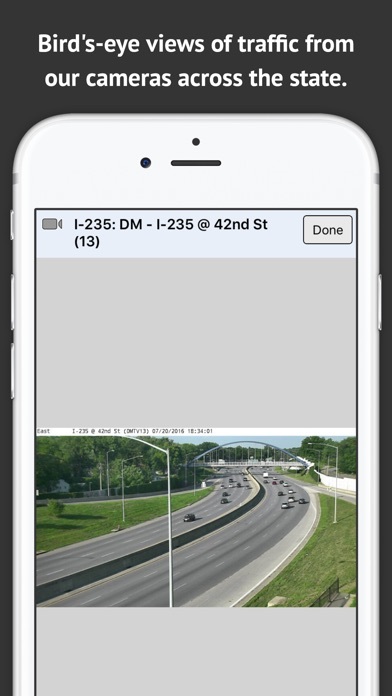 The map is great and you can see live images of current road sections that have cameras. Also gives truck info like weights limits and height limits. Great app. Need full motion video compatible with apple. Also need a larger view screen of camera feeds. This app is useful, but it does not work reliably on iPad. It works better on iPhone. Bugs need to be fixed! I read the negative reviews but decided to give it a try. At first it worked fairly well but now it crashes before information is loaded, time after time after time, rendering the app worthless. Unless you are in the mood for some aggravation, don't waste your time with this. This app crashes whenever it is opened. Until it is fixed, it is useless. Fix your app it crashes all the time! I was excited to see this in a mobile app until I opened it and immediately saw a totally different map than the web site had. 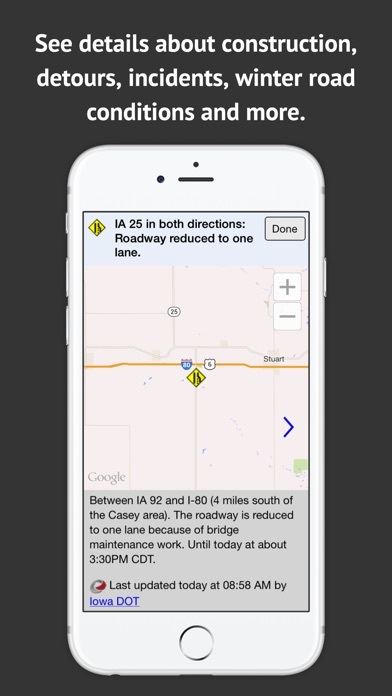 Rather than I-80 being totally covered by us the mobile app had normal conditions statewide. I deleted it immediately. The map was kind of clunky too- not a very good image but workable if the info was trustworthy. doesn't work until after 3-4 times of trying to open the app - crashes frequently. Legend button doesn't show up, have to know where it's supposed to be to hit it. I dutifully updated the app, now it won't open. I have iPhone 5.1.1. I don't have the space to get a newer version, so I guess I'm out of luck and will have to use a different app. Installed the update just released today on my iPad 1 with OS 5.1.1 and it crashed the app; previous version worked fine. Reported this to the IDOT app feedback email on the state site. Easy to use, intuitive and accurate! Nice to see it is a universal app as well. Great work! Great app for seeing the road conditions and how much snow is on the ground in the area. 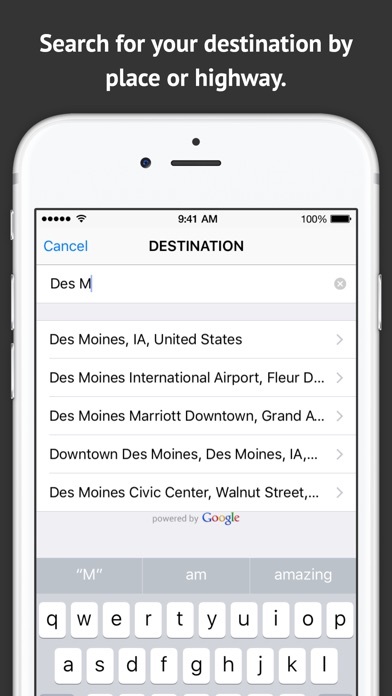 Comes in handy if you are traveling or making plans to travel. Good when it stays open. Deleted it after it kept crashing. This app was working great, but now when I go into it, it clicks out and goes back to my home screen. Thanks for this app! Very useful. Poor road conditions today, and this app won't populate the data. This is awesome. My hope is that the road conditions is easy to understand. Great when it works, but that's not very often. App crashes overwhelming majority of the time. Needs a serious bug fix. Works fine when it stays open. It has stayed open a couple of times. Most of the time it opens and closes within seconds. At least it was Free. It needs an update to fix the bug. Great application! Really like the camera feature. Does not tell enough information when "partially or completely" with what??? Ice, snow, flood water?? Too general for some conditions. Needs to be more accurate for it to be of any help. Web 511ia.org better by far. Perfect app for driving in Iowa winters. I drive from Chicago to Omaha a fair amount. This app has all the information I need for safe winter travels! From indiana and planning trip during winter storm so maps, alert & mostly cameras were great! 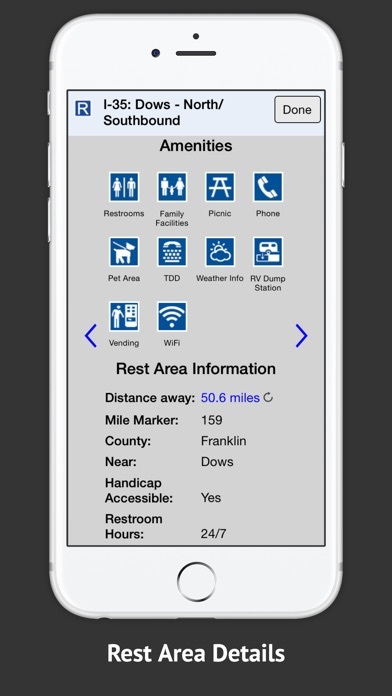 More states need an app like this! I got this to help me keep track of driving conditions and it appears that it may do the job. One warning however- the first night I had it on my phone, (which was unfortunately by my bed), it gave off a VERY loud alert signal, at 4:00 in the morning, that there was a possibility of severe weather about 14 hours later. I think I figured out how to disarm the raucous alert thing, but it certainly blew me right out of bed at 4 a.m..
Nice and easy to use application.